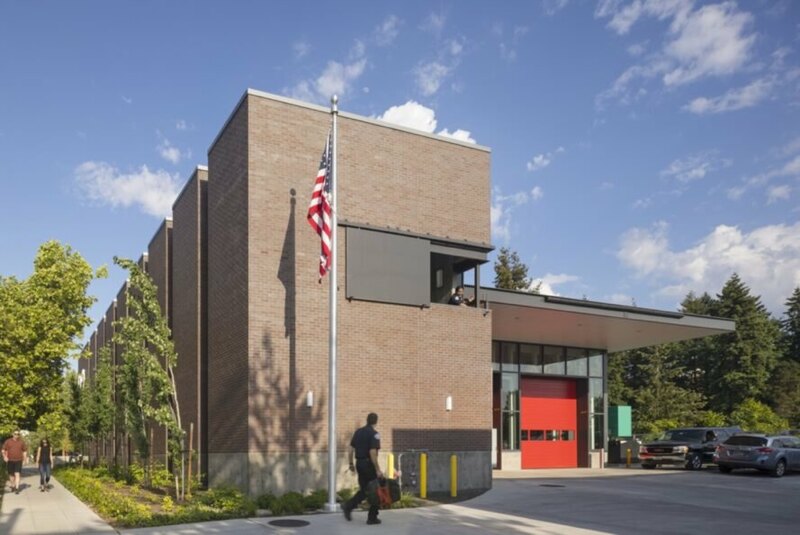 The north end of Seattle’s Capitol Hill neighborhood has recently become home to a new, contemporary fire station that’s also a beacon for sustainability. 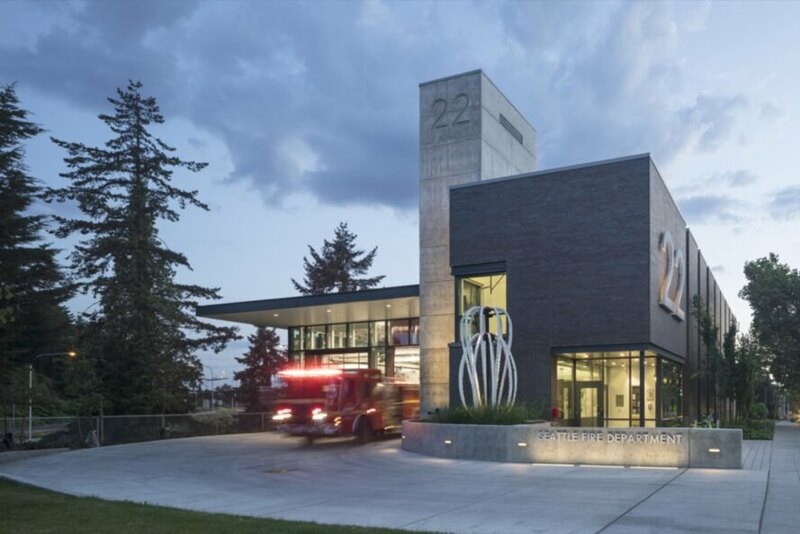 Certified LEED Platinum, Fire Station 22 was designed by local architectural practice Weinstein A+U to harvest solar power, as well as rainwater, which is used for all of the station’s non-potable water uses. The building also has an enhanced civic presence with a super-scaled and illuminated “22” on its facade and large walls of glass that invite the neighborhood in. 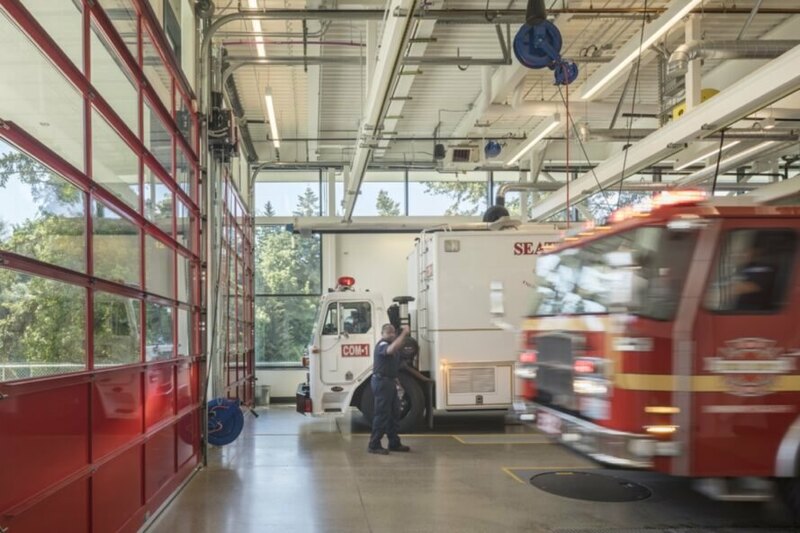 Due to its location on a long and narrow corner lot confined by two freeways and a heavily trafficked road, Fire Station 22 forgoes the conventional back-in configuration in favor of a drive-through layout for better visibility and safety. 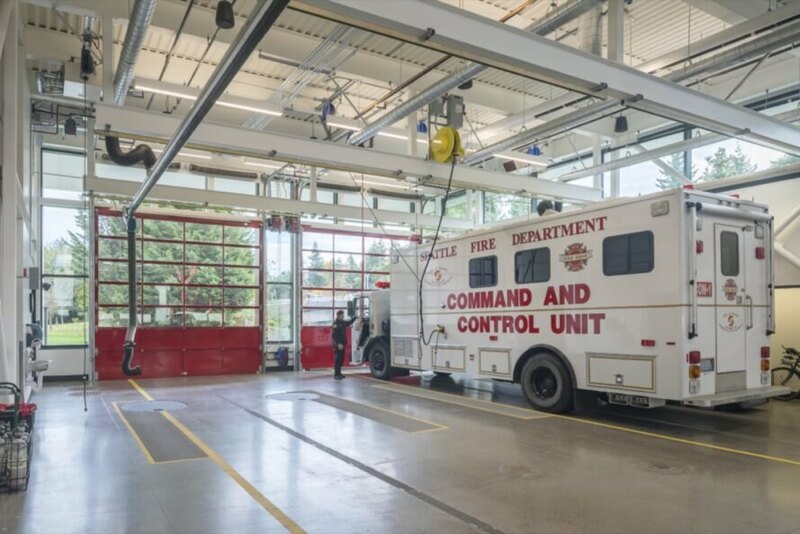 However, this configuration and the constraints of the space meant that the two-story support and crew spaces needed to be put at the front of the site, thus blocking views of the fire station’s apparatus bay, which has always traditionally been visible to the public. 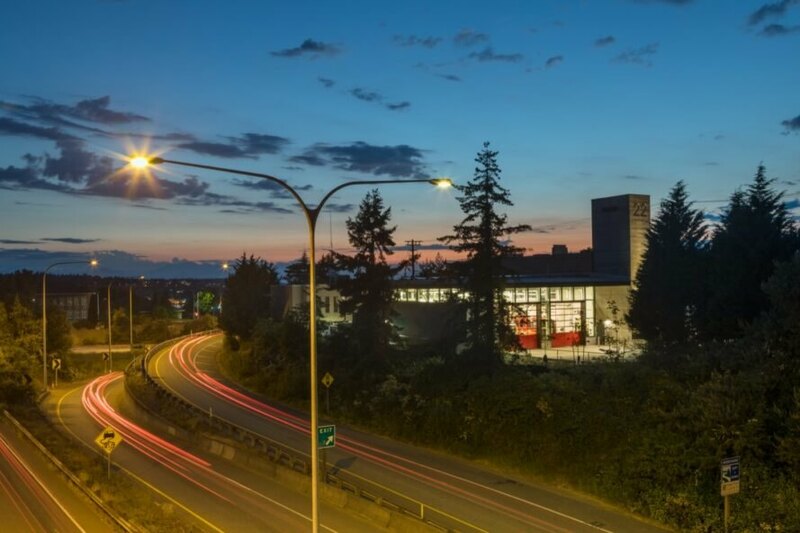 To reengage the community, the architects added a public plaza at the main entry, a super-scaled “22” sign on the concrete hose-drying tower and a glazed lobby and station office. 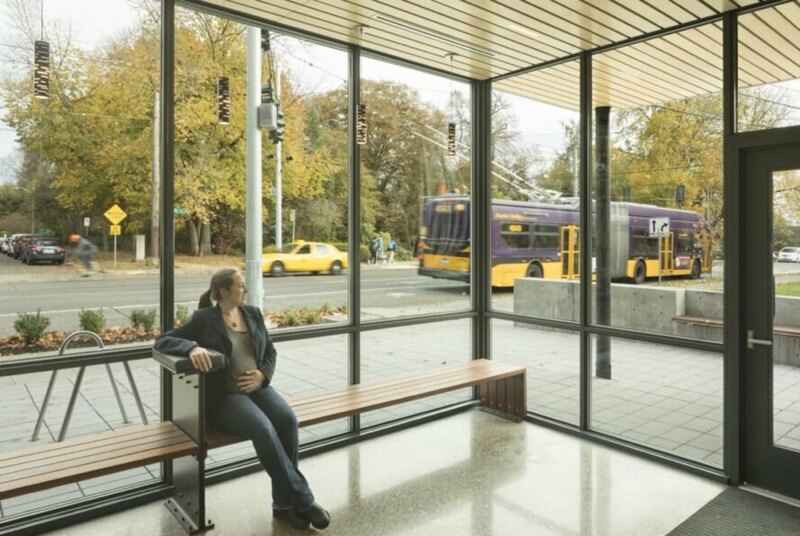 “The station needs to mediate this complex site while maintaining rigorous programmatic requirements and balancing users’ desire for privacy,” said the architects, who completed the project as the last full-building replacement project under the 2003 Fire Facilities and Emergency Response Levy. 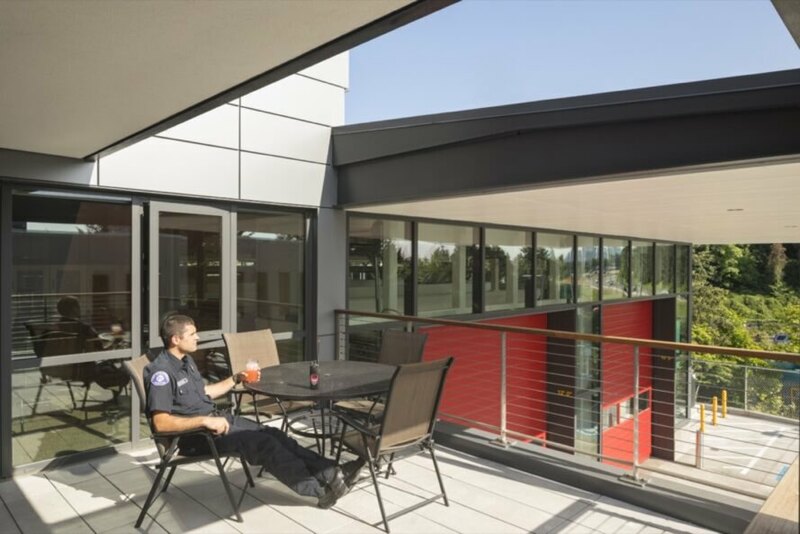 Built to meet current program standards, Fire Station 22 features highly efficient mechanical and plumbing systems in addition to a solar PV system and rainwater harvesting systems. The project has earned three 2018 AIA Merit Awards. 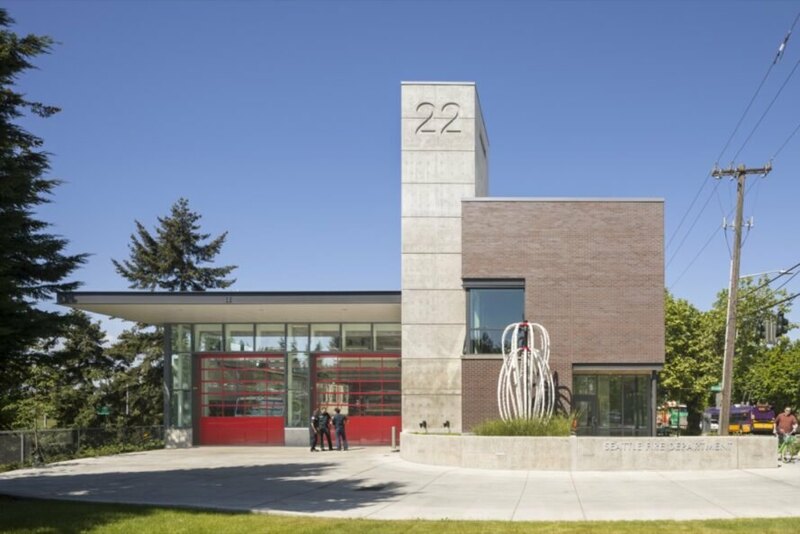 Certified LEED Platinum, Fire Station 22 is located in Seattle's Capitol Hill. Weinstein A+U designed the fire station to harvest solar power and rainwater. The rainwater is used for all of the station’s non-potable water uses. The station sits on a long and narrow corner lot confined by two freeways and heavy traffic. The design features a drive-through layout for better visibility and safety. Architects added a public plaza at the main entry. There is a super-scaled “22” sign on the concrete hose-drying tower. The building also has a glazed lobby and station office. The fire station features highly efficient mechanical and plumbing systems.